Sightseeing tour in downtown Beijing. The highlight today is the visiting of Great Wall. You might climb up and down the Great Wall by foot, or take cable car up the mountain, walk down the Great Wall by foot. The extra cost of RMB 50 for one way cable car will be paid by yourself. 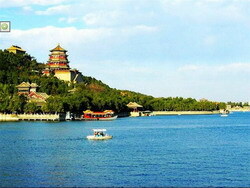 Continue your tours in Beijing. Beijing Zoo The must-see area of Beijing Zoo is the famous Panda House, You can see lovely Giant Panda and lesser panda. Lakes and gardens abound in the zoo complex which is a weekend destination for families. Transferred to Beijing airport for the moring flight to Lhasa. 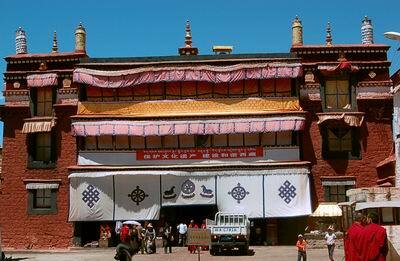 Upon arrival at the Lhasa airport, pickup by our English speaking tour guide and drive to hotel. Free at leisure to acclimatize yourself to the high latituder. Lhasa Lhasa has an elevation of 3650 meters and sits at the center of the Tibet Plateau. It has a history of more than 1300 years. It towers as a huge magnet attracting those who want to explore its culture. 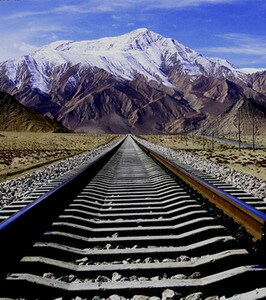 Entry into Lhasa allows each traveler the chance to glimpse into Tibet. [ Optional ] Ramoche Monastery: it is one of the key cultural relic protection sites in Lhasa, located on the north of Barkhor Street, in the area with a local market and many traditional style Tibetan style civilian houses.